The CliffsNotes study guide on Shaffer and Barrows' The Guernsey Literary and Potato Peel Pie Society supplements the original literary work, giving you background information about the author, an introduction to the work, critical commentaries, expanded glossaries, and a comprehensive index, all for you to use as an educational tool that will allow you to better understand the work. This study guide was written with the assumption that you have read The Guernsey Literary and Potato Peel Pie Society. Reading a literary work doesn’t mean that you immediately grasp the major themes and devices used by the author; this study guide will help supplement your reading to be sure you get all you can from Shaffer and Barrows' The Guernsey Literary and Potato Peel Pie Society. CliffsNotes Review tests your comprehension of the original text and reinforces learning with questions and answers, practice projects, and more. 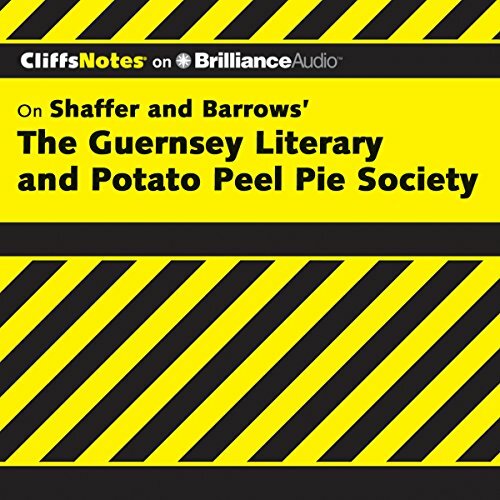 For further information on Shaffer and Barrows' The Guernsey Literary and Potato Peel Pie Society, check out the CliffsNotes Resource Center at www.cliffsnotes.com. ©2011 Wiley Publishing, Inc. (P)2012 Brilliance Audio, Inc.